Following my travel piece for Powder, here's a follow up on Red Mountain's innovative way to fund a ski resort while avoiding corporate ownership. Read here on REI CO-OP Journal. I've finally gotten around to updating my site with articles from last year and Fall/Early Winter 2017 winter publications. In addition, my content projects from Solitude, Deer Valley and DPS are making the rounds. Below are a couple links of my related works. Environmental Storyline and Social Media for Kickstarter Campaign. This winter has been all time! I've barely been keeping up with the new site, and have only managed to load my online articles. However, it has been rewarding to see my stories amongst my friends' in Powder, Skiing, Backcountry Mag, The Ski Journal, Mountain, Ascent, and most recently the Winter OR Show Dailies. But back to the reason for all of this. Powder Skiing... Here's to a deep and safe second half of the season. Jesse Weeks, full submersion on Superior. It has been a long time coming. Perhaps too long. Regardless, my old Wordpress site has been replaced by something fresh, and with hope I'll update it more frequently. Welcome to the new ermecatino.com. A lot has changed this past year, primarily my step towards full-time freelance work. After four plus years managing DPS' Global PR along with DPS Cinematic and Team initiatives it was time to embark on my own, the balance of freelance work and full-time PR was getting rough. I still plan on helping the company through contractual initiatives, but being able to focus on my ski and outdoor writing projects will be exciting. Take a gander at the new site and my recent publications, and if you have any projects or are looking for writers feel free to contact me here. Winter is upon us in the Wasatch. Here's my ode to the anticipation, featured in Powder Magazine. Last winter, I traveled to Utah's Tushar Mountains on assignment for Backcountry Magazine. Away from the crowds of the Wasatch our crew explored The Snorkeling Elk and Puffer Lake Yurts, and weathered a huge storm to hit Southern Utah. Here’s a video from the trip, and to read the story in full, grab a copy of the issue, here. I recently penned an Op-Ed opposing One Wasatch. The story ran in the Salt Lake Tribune, June 8, 2014. For the online version click here. 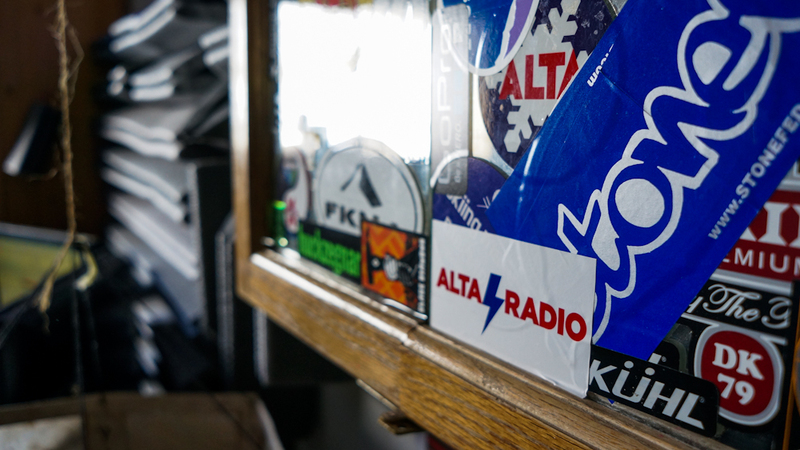 Recording live from the Peruvian Lodge in Alta, UT, Alta Radio debuted this winter. Here's the audio interview and story I conducted for Powder Magazine. A sign of a good winter is less talking about skiing and more powder shredding. Well, that's the excuse I'm using for not blogging since December... Nonetheless, below are two stories I wrote that were published this winter in The Ski Journal. Issue 7.3 highlights the history of Vermont's Smuggler's Notch Road - relating the clandestine tradtions of bootlegging and tree cutting for powder stashes, and in 7.4 I sit down with pro-skier Ian Compton. Both issues are available at books stores and newsstands. It has been some time since I updated the blog... Preparing for the season and some writing projects kept me at bay. I'll be updating some recent publications during the next week. However, it looks like winter is finally here in the Wasatch, albeit with a slight stutter this week. Here's a piece I put together for Mountain Advisor highlighting Alta's opening of new terrain. Last spring, I spent several days yurt skiing in Utah's High Uintas range. The story is featured on Backcountry Magazine's website: here. 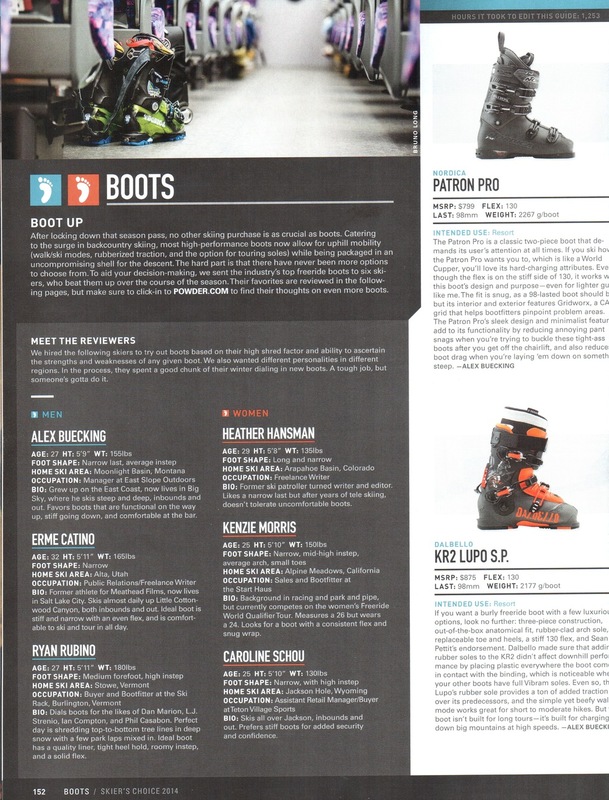 Last season I had the opportunity to review boots for Powder Magazine's annual Buyer's Guide. It was a super fun experience, and opened up my eyes to boots/designs I have never tried before. My top 6 boots are listed in Powder Magazine Issue 42.1, and for reviews on all of the boots I skied head over to Powder Magazine's Online Buyer's Guide. Spring in the Wasatch was a constant fight between winter and summer. Late April storms growing the snowpack and sporadic bursts of snow into May helped prolong the dry heat that has already begun. While it's time for summer floats and backpacking excursions into the mountains, the last few weeks of May helped bridge the crave for cold powder until October. Here's a short piece I wrote for Powder regarding this cycle called Green Tomatoes. Just a few days after the story went live, we were treated to one more storm. Thanks winter, we'll see you next year! Last week the Wasatch received a great late season storm cycle, luckily for DPS rider Olof Larsson he arrived from Engelberg just in time to schralp some pow. Here's a little edit from a powder-filled morning at Alta! Last season I caught up with Sam von Trapp, of the famous von Trapp family depicted in The Sound of Music, regarding the skiing renaissance taking place at The Trapp Family Lodge. The piece is the lead fall-line story in Powder Magazine's Photo Annual. If you visit Vermont, you owe it to yourself to visit this beautiful location. November was pretty snowy here in the Wasatch... Here is a short post I put together for my good friends at Trew, photos by Austin Holt. 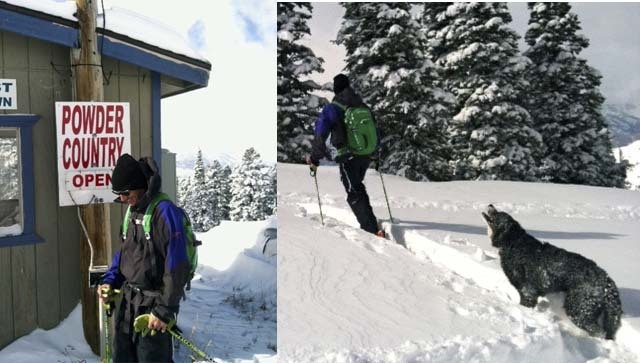 Last week was a welcomed treat... My buddy Sam and I headed to Powder Mountain for a forty-two inch early season storm. It was great to ski powder again, especially after the long hot summer. 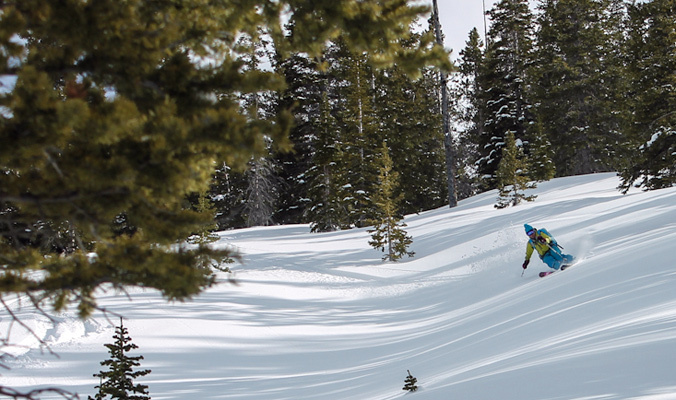 My recap/story was featured on Powder Magazine's "First Chair" online section - check it out!